"Two Thousand Years" is in some sense a grander, more melodic, and sweeping version of "We Didn't Start The Fire." In it, Billy recounts in broad strokes the past 2000 years (rather than episodic countdown of the last 40 years in "We Didn't Start The Fire") in which "man was triumphant, armed with the faith and the will" and we now stand at the "crossroads of time." There is some question about what mankind has wrought -- "is this a curse or blessing that we give?" But overall, it is a hopeful song, predicting miracles that will come, "the last war," and a world where both "science and poetry" will rule. As the end of the millennium approached, it was a beautiful vision. 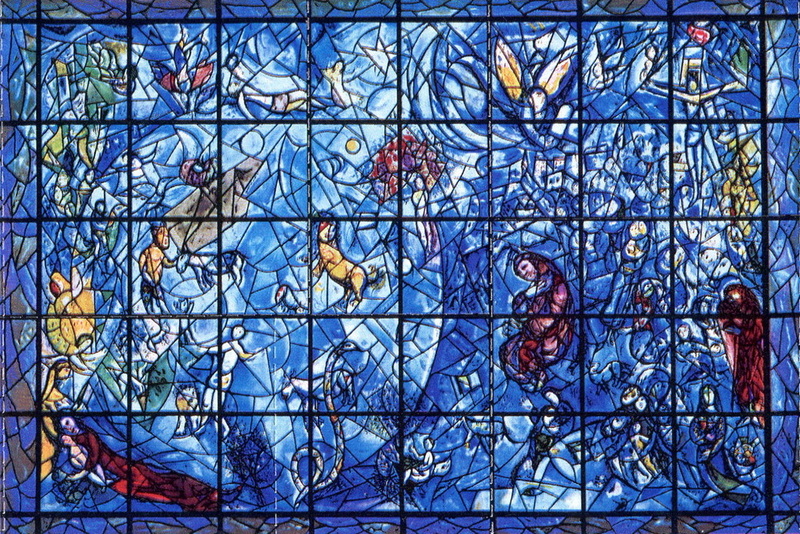 That vision of a peaceful and progressive future for the world is reminiscent of Marc Chagall's mural "Peace" on stained glass. See photo below. Prophets and angels give us the power to see, what an amazing future there will be. Billy on "Two Thousand Years" from SiriusXM. The live version of the song (from 2000's The Millennium Concert) featured guitar and bagpipes (?) which gave the song a richer and warmer sound, and a more folk-like feel, which is appropriate. You can listen to it here. 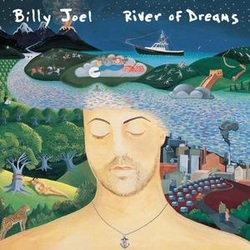 I would love to have an acoustic version of the entire River of Dreams album as I think some of the songs like this and "Famous Last Words" could have used a more simple accompaniment and production. Here is another fan video of the song by Tony Walker with some rare photos of Billy Joel. In this excerpt from the Shades of Grey documentary, Billy performs "Two Thousand Years" solo on the piano and discusses songwriting. "Peace" by Marc Chagall, on stained glass. In memory of UN Secretary-General Dag Hammarskjöld (1967). Click here for background.